We proudly serve the greater Boston area with exceptional service since 1972. We look forward to serving you and provide a level of value and quality that ensures your peace of mind. We understand this process can be stressful and you may have a lot of questions. We encourage you to give us a call so we can help you understand our process and to set up a no-obligation consultation and assessment. 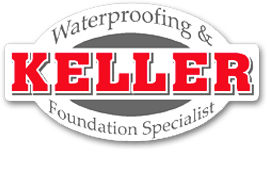 At Keller Waterproofing, we welcome your comments. Please take a moment to fill out the form below and thank you for your interest. Serving New England Since 1972.